Having a solid collection of social media banners comes very helpful regarding your online presence. Make sure it is of the highest standards, yet at the same time, the process of achieving those levels does not require you much work. 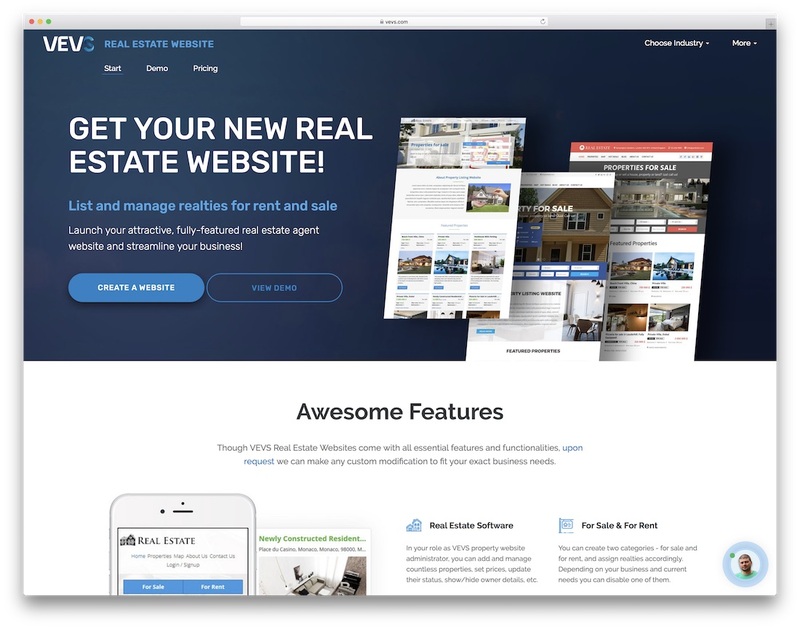 The layout is ready, you only need to add the details and maybe an image or your company logo and you are ready to attract and impress your followers. Let it be for pure marketing purposes or an introduction to something new that you are releasing, these banners can be used for all sorts of purposes. You do not need to have much knowledge but the basics would speed things up even more. Moreover, if you do need some assistance along the way, always feel free to contact the developer and he or she will be happy to help you out. From Instagram and Twitter to Facebook and Pinterest and then some, you will find social media banners of all shapes and sizes. Bring the promotion of your event, app, online store or simply your social media profile to an entirely different level. Scale things up and boost your appearance above and beyond. With predefined banners for your social media, you stay consistent at all times. You will enhance your workflow and start hammering out fresh promotional material promptly. Although you will not need to put in much effort, the results will always be first-class. Are you ready to explore our carefully picked collection of the best social media banners? Look no further and act now. There is only so much that a static image can do for you. 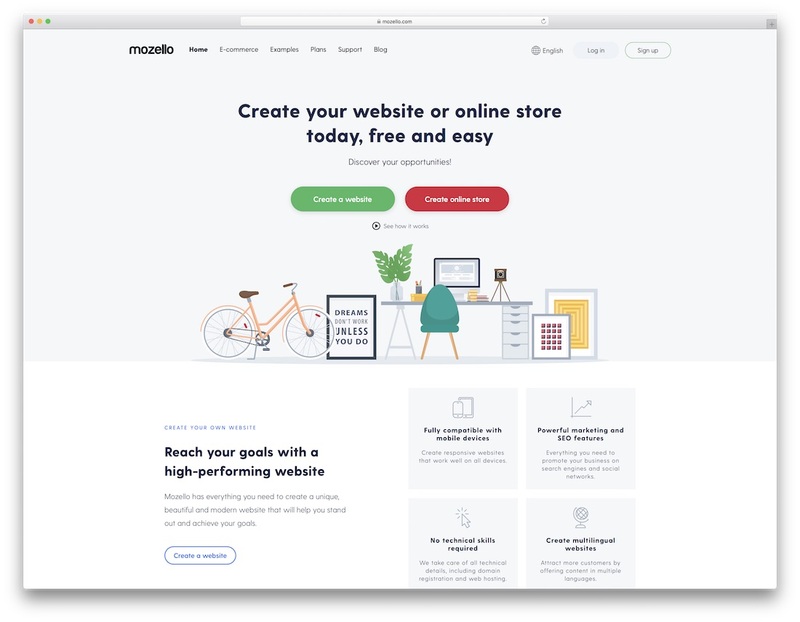 To grab more folks’ attention, animations are the way to go. And that is especially important when it comes to your Instagram stories. 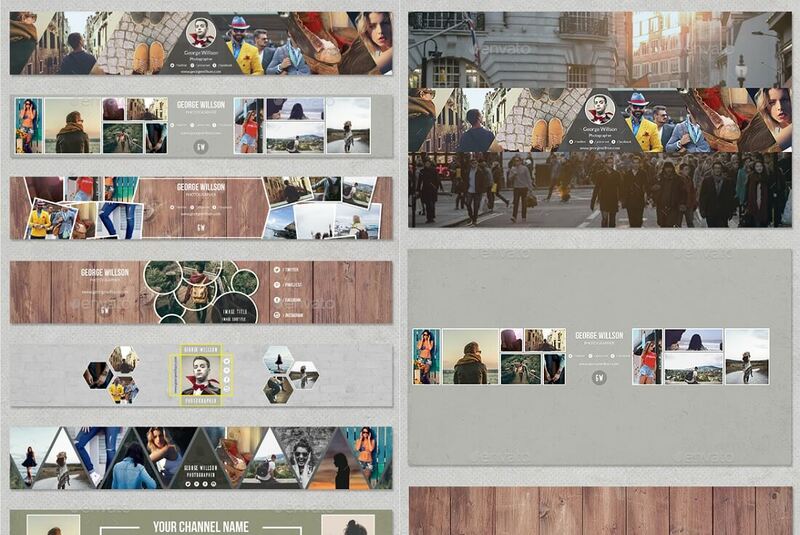 Make them special and unique with this exclusive pack of 20 templates. With these, you will quickly put together ads, action calls and all the rest that comes along. Nope, you do not have to do any of the technical animation processes stuff. Change the text, the color and the image and that is basically it. A video tutorial comes included so you will not come across any issues at all. Follow the guide and get the gist of it. All the graphics, texts, images and other whatnots that you see on preview are included in the pack. It will not be long before your followers see your first Instagram stories that you crafted just moments ago. A massive social media banner bundle which will cover the vast majority of your social posts (even blog). 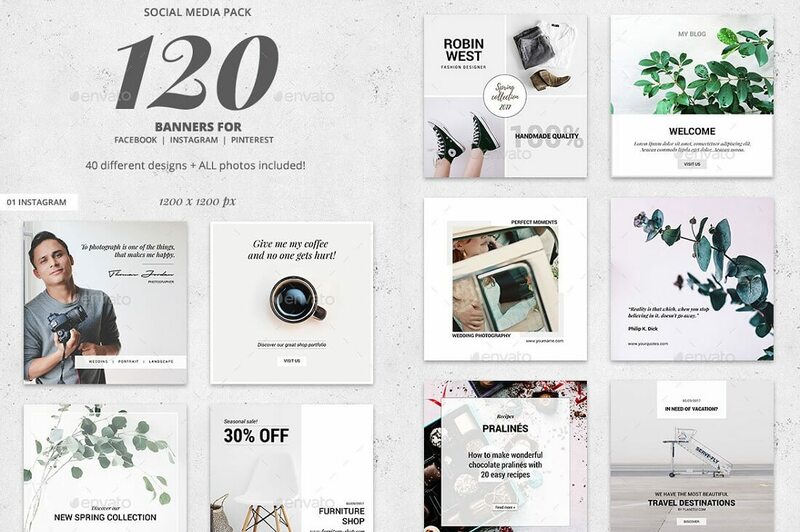 For Facebook, Instagram, Pinterest and many more, the package includes 196 high resolution banners in three different sizes. They are all broken down into different categories grouped by city/country names so you can immediately find what you are looking for. 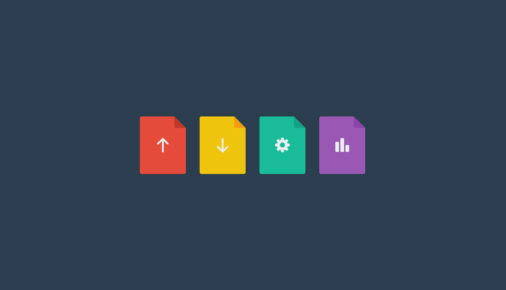 Sizes are 2000x1045px, 2000x2000px and 1600x2000px. All shapes are vector-based and the layers organized. In the download, you will also find all the images and fonts so you do not need to deal with those. However, add your own if needed and further customize the banner of choice. Elegant and super stylish material for social media promotion like none other. Are you ready to shine? If you find yourself in the position where you do not know what to post next, the best solution are quotes. This a proven technique which will guarantee you engagement, yet at the same time, it is quite simple. But aren’t the simplest things usually the best option to go with? 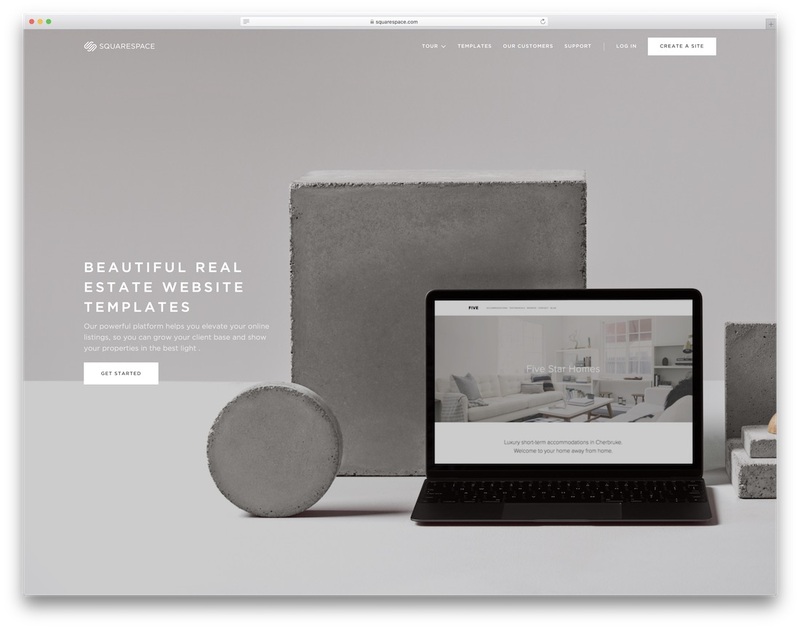 Let it be for a website, a product or social media promotion, keeping it simple and bold is a great approach. There are 295 entrepreneurial quotes in the bundle which will help you inspire and motivate your followers. For whatever reason, people like seeing motivational content on a regular. Besides, people like to share quotes on their social profiles what causes more visibility for you and potential growth of your account. 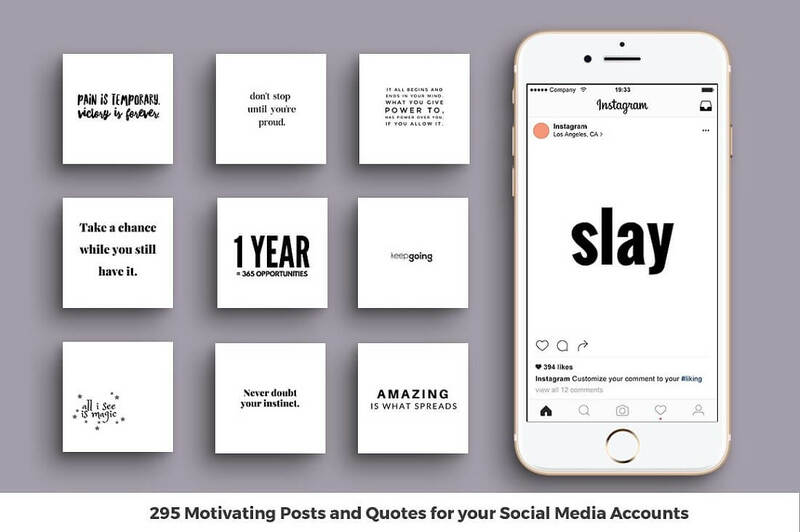 After the download, you can immediately start seeing what quotes can do for your Facebook, Twitter and Instagram profiles. Expect to be impressed. 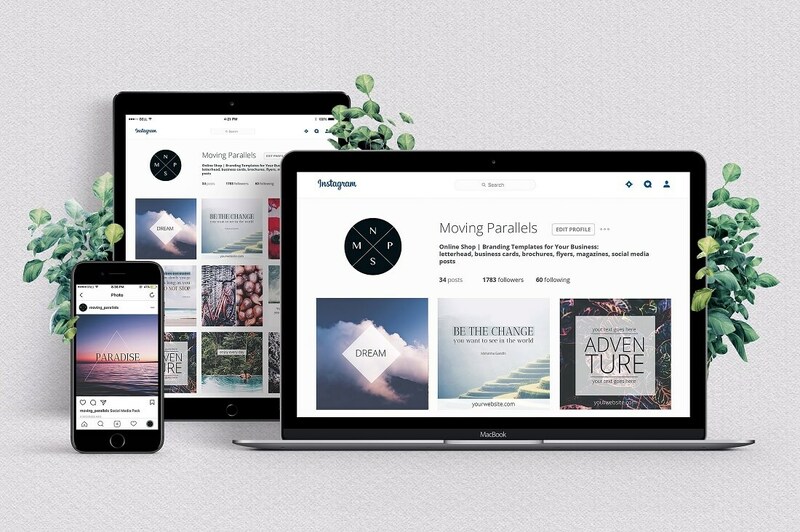 In a collection of 150 ready-to-use Instagram banners, you have your presence on the photo sharing social media platform sorted. Whether you are launching a new product, promoting your services, announcing new line drop or special offers, there is a banner for you. 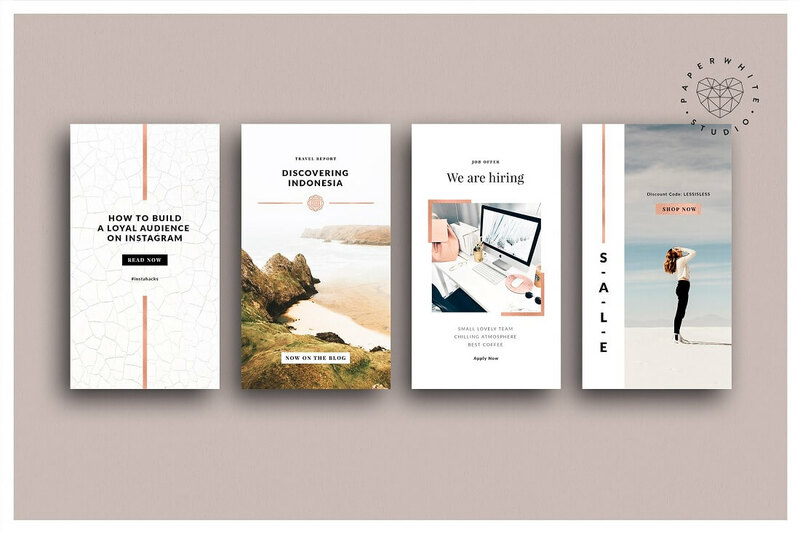 From restaurants and hotels, photographers and designers, small and medium sized businesses, anyone can benefit from this social media banners bundle. The PSD files are easy to modify what makes it a breeze tailoring them to your needs. Images can be replaced via smart objects for you to pick and add whichever you want. 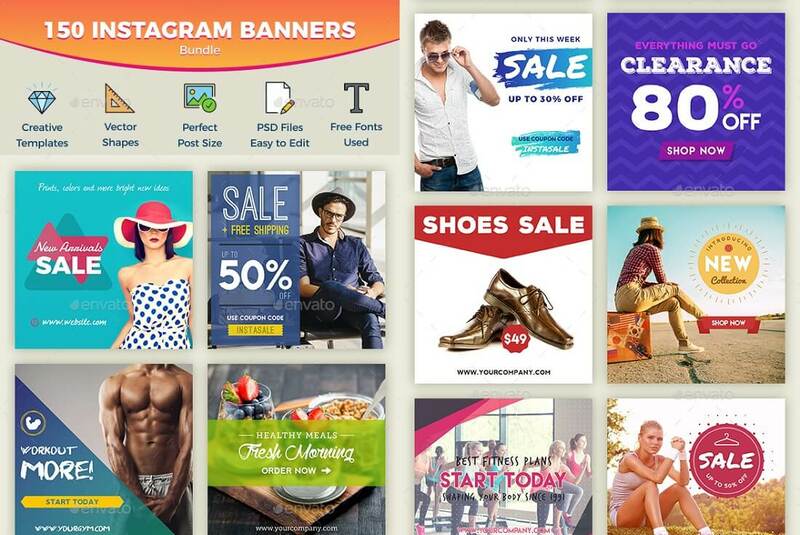 All of you who promote just about anything on social media can take to your advantage this solid Instagram banners bundle. 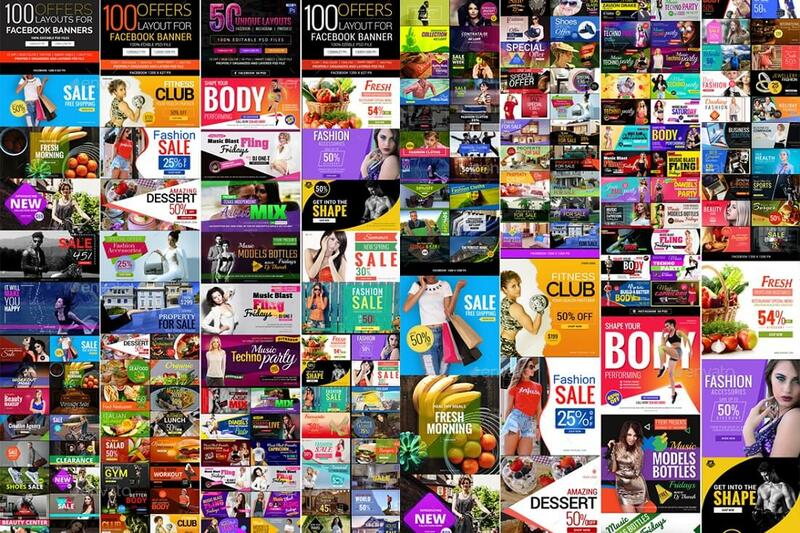 If huge is what you strive toward, then this enormous collection of Facebook banners is what you need. It covers, well, everything. Fitness, fashion, real estate, restaurant, birthday party, travel, you name it and you get it. 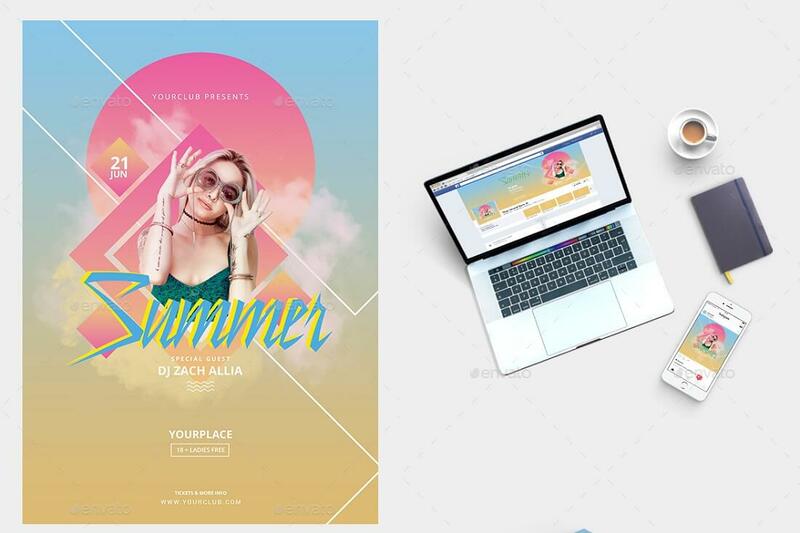 Some of the features of this extraordinary 550 Facebook Banner Bundle are vector shapes, smart objects and fully layered and organized PSD files. Additionally, due to the extensibility, it offers you a multipurpose use for other channels, too. In the info file of each item, you will find the free fonts but adding yours is possible, too. Whoever needs a one-in-all promotional material bundle, you just found yourself one. Your promotion on Facebook will never be the same anymore. With so much material at your service, you can test out different methods and stick to the one that works best. Another massive coverage of your social media promotion with a big collection of 120 banners. Facebook, Instagram and Pinterest, there are 40 designs available of which each comes in three sizes. 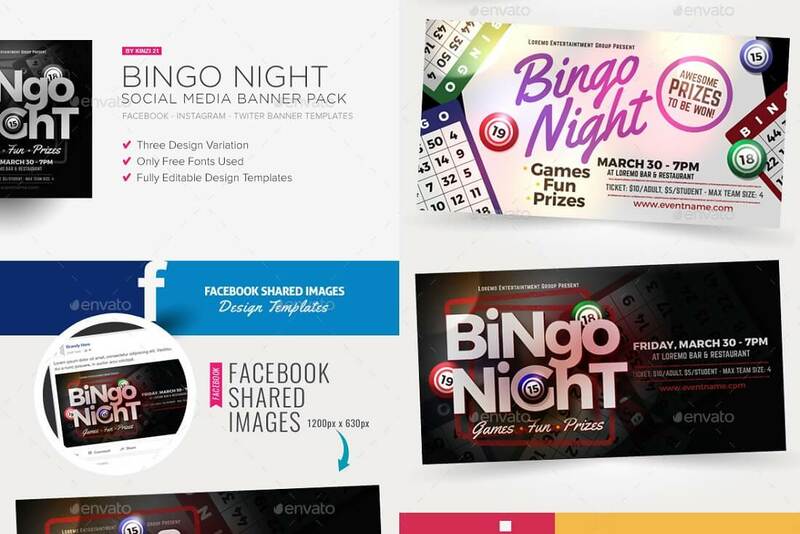 A modern approach to social media is inevitable with these banner templates. Have your web presence constant across all three platforms without distancing yourself much from your initial branding. Photos and fonts are also included and layers organized in groups. Photographers, online stores, travel agencies and bloggers, you will all have a ton of fun using these to entertain your following base. If you have been doing the same thing over and over again, the time has come to switch things up a bit. With a convenient bundle of banners, you can do just that effortlessly. Are you an event organizer who needs social promotion along with a beautiful flyer sorted? If that is you, and your next music show is just around the corner, here is a flyer and a set of social media banners for you. Facebook cover, square and 16:9 banners are included which you can immediately adjust and improve with your information and image. The PSD flyer is printable and all files layered for easy customization. By performing different modifications, you can also use the banner for your own band, solo artist and other events. It is a very practical and functional tool to cover a whole range of happenings. Surprisingly, Bingo is still very popular in some of the countries. But it is not only the older generation that you will see at such events. Families and youngsters come too, because, who does not like winning stuff, right? Anyhow, if locally, you have Bingo Nights taking place on a regular and need to attract a wider audience, social media is the way to go. To promote it on Facebook, Instagram and Twitter, here is a banner pack that will do the work for you. For each platform, 3 versions are available and ready to adapt to your needs. 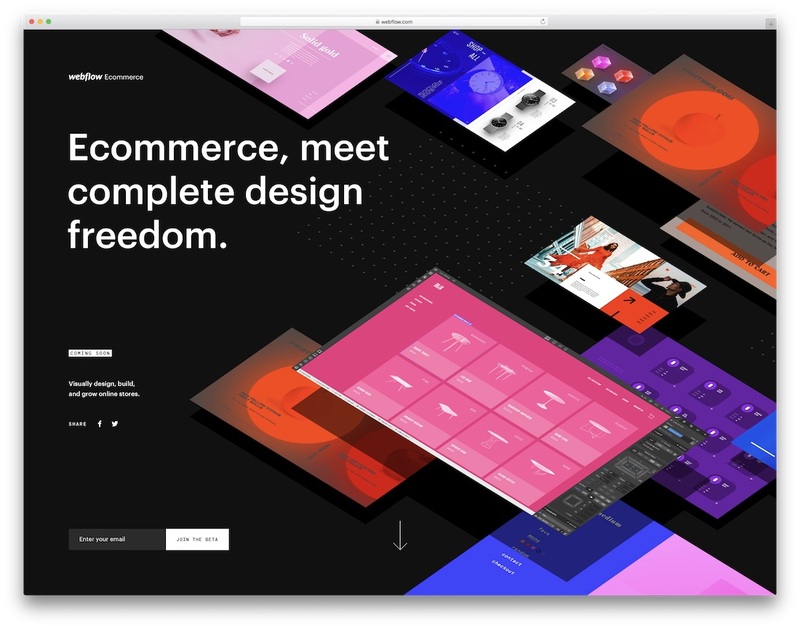 Only free fonts are used and the layouts fully editable. Even if Bingo is happening tonight and you need a quick solution, you can have promo material ready and live in no time. 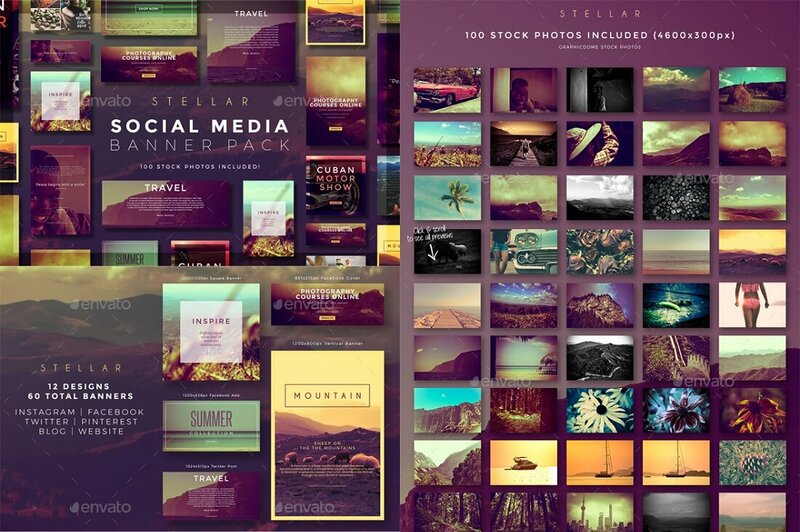 12 designs, 60 banners and 100 stock photos, that is what you receive with Stellar Social Media Banner Pack. Instagram, Pinterest, Facebook, Twitter, as well as your blog, are all taken care of. All 12 banners come in 5 different sizes for you to have complete freedom when it comes to designing adds and posts for your social media appearance. 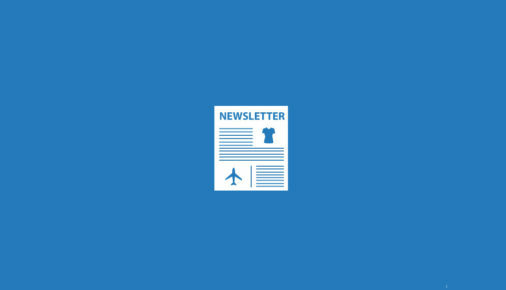 You are just clicks away from designing impactful and appealing promotional material. From the moment you download the file and have your first banners ready will pass the tiniest amount of time. That is how quickly you can have your social media banners and posts ready and still staying at a pro-level just like you should. Summer parties, shows and concerts can all be represented with a cool flyer and two social media banners. The latter you get in form of a Facebook cover and square banner. Bear in mind, creatives are vector based, meaning, you can scale them without losing quality. In other words, you can use them outside Facebook and Instagram, too. Three files which will take care of your summer event no matter what kind it may be. But if you feel to go against the grain, get the summer vibes going throughout the whole year. Use the flyer and banners for other occasions whenever you want. Who does not want to throw down a full-of-summer-vibes party in the middle of the winter? You are presented with 10 one-of-a-kind premium YouTube banners, each representing an entirely different story. If you are a serious vlogger or you just like to freshen things up on a regular, this is a great option for you. All ten have a distinct feel to it and come in a full-screen high-definition version, too. To change the images, just use the dragging and dropping function, thanks to smart object, and see which banners comes ideal for your YT channel. It is all very simple to edit, the text can be replaced with a different one or you can leave it all as is. At the end of the day, these social media banners already look superb. They will surely help you stand out from the crowd. Your uniqueness is your magic. Maybe style is all what you are after. 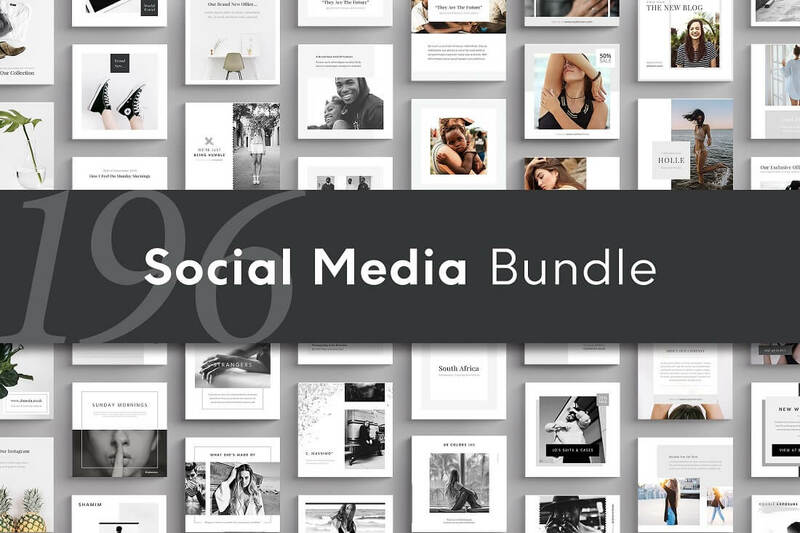 Whoever feels like that, this Stylish Social Media Pack will do you a ton of good. 25 original PSD templates are ready to turn your social media appearance into something special and uncommon. 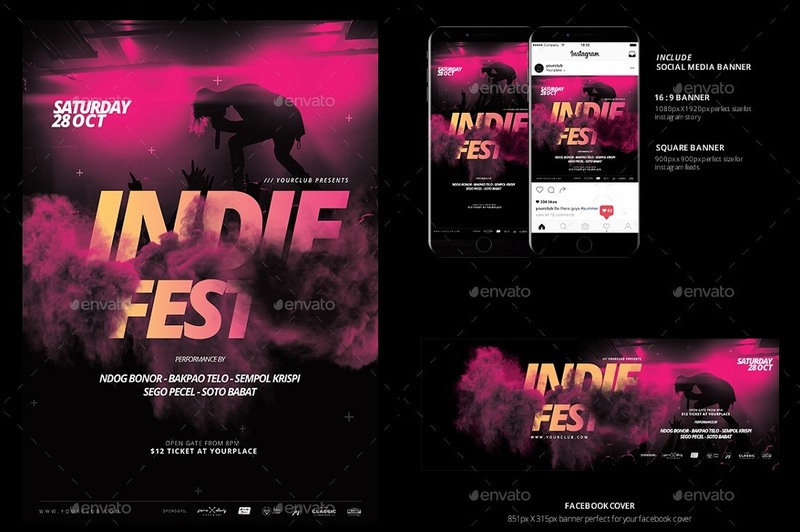 Let it be Facebook, Instagram, Twitter or Pinterest, there are banners for each platform available for you to put them to use. Change images, logo, texts, prices and buttons, it can all be modified with your branding. Free fonts and all the images used are included in the bundle. You do not even need to worry about which photo to choose. Those that come with the package might already do the trick. 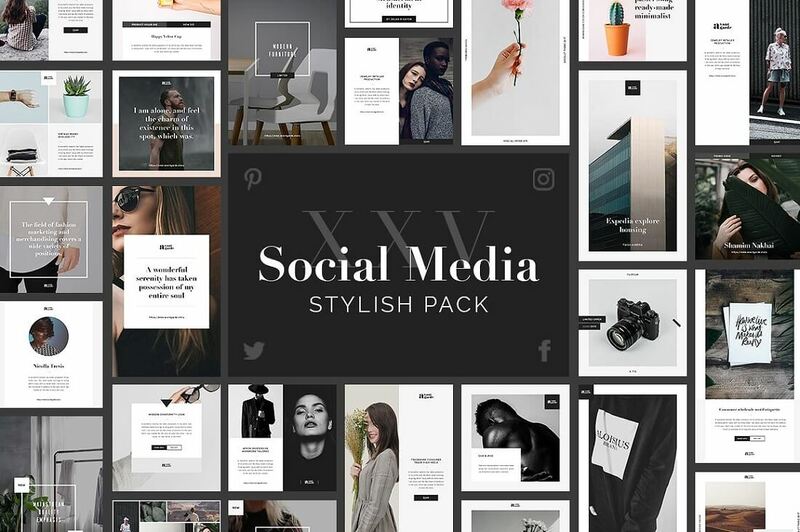 Fashionistas, bloggers, retail owners, new sites and magazines and pretty much anyone else can enjoy the stylish social media banners pack. Need more options for your successful YouTube channel? Your scrolling should stop here because you came to the right place. 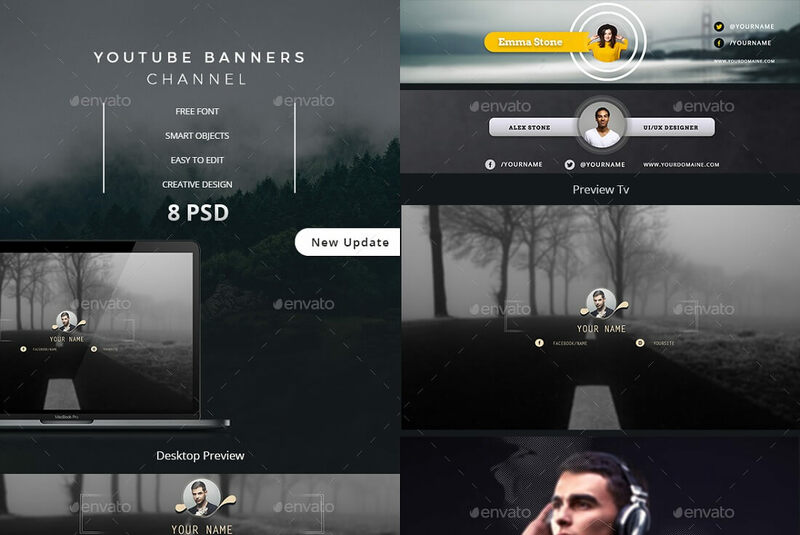 8 different PSD designs to spice things up on your channel. Grab their attention right away when they land on your channel with an outstanding banner which provides the right amount of information. No need to implement too much stuff in the banner otherwise it might become a distraction. After all, it is your fantastic content that gives each visitor all the info they need. But if they want to learn more about you, they can also follow your other social accounts which you can sport links to from YouTube. 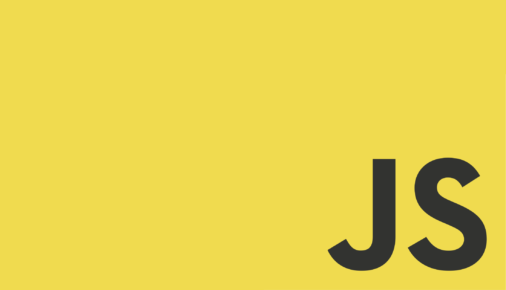 Add your image to the desired banner via smart objects, pick a font variation you dig most, add details and that’s it. 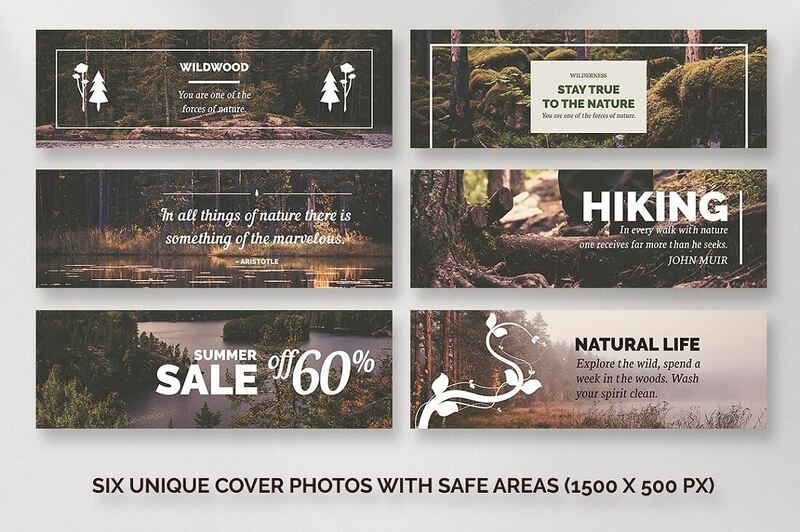 Twitter specific templates for cover photos and posts with a natural vibe to them. Best for hikers, bloggers, adventurers and even marketers within the niche. Truth be told, anyone who likes nature and has something to do with social media can use these. Perfect for branding purposes. 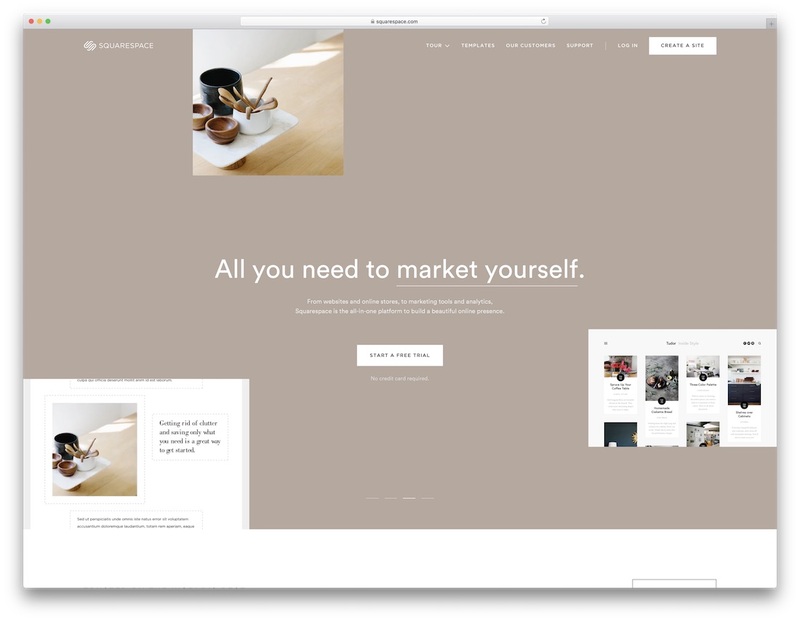 In total, you get 15 templates, 6 for covers and 9 for posts. Along with that, Full-HD images also come with the kit for you to not worry about finding ones which would work best with the style. At least not from the get go. On the other hand, if you have your own collection of photos to use, replace these whether you are using Illustrator or Photoshop. Compatible with both! Instructions are included for everyone who needs assistance. It is all editable so make it meet your requirements all on your own only by understanding the fundamentals. 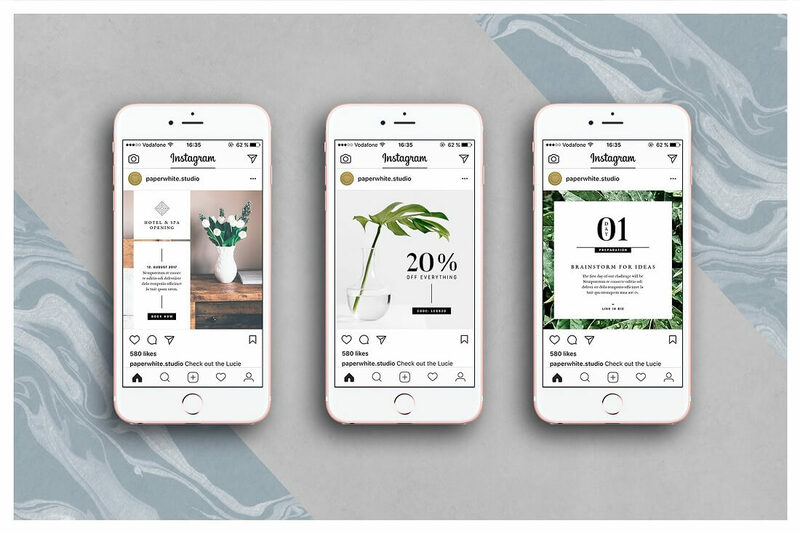 Do you want to introduce animations to your Instagram profile and feed followers’ photo-high with something new? It might be that you are still using static images only. Are you down for a challenge and test your audience’s engagement by posting an animated version of your posts? If so, here is a Milestone Collection which comes equipped with 20 templates to turn static images into animations. And no, you will not have to deal with the creation of animations. That’s why banner templates are for. Most of the technical work is finished, you only need to add images, change colors and text and your pictures will not be static any longer. Might sound too easy to be true but that is the brutal truth. And a video tutorial will help you along the way. Don’t be intrigued by it, rather excited to try something new. 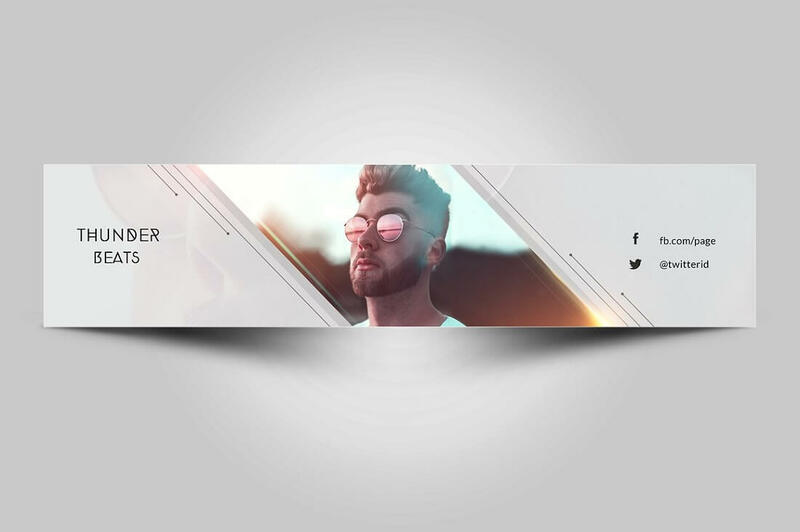 Youtube channel covers get a complete redesign with the use of these banners, carefully crafted for you to benefit from. 100% layered and trouble-free editing so there will be no struggle getting the final piece together as quickly as possible. On one hand, these covers are very simple but at the same time, very noteworthy and straightforward. You will definitely make an impression on your fans and anyone else who stumbles across your channel. Simplicity is more or less key to success. Make the cover show who you are and what you are all about. Be specific and strategic and those seeing the image might not even need to read the actual description. Don’t they say that an image is worth a thousand words? Hence the name, Asian Dream collection of social media banners is inspired by the Far East. 12 different templates in PSD format are available. Each of the templates also comes in various sizes for Facebook, Instagram, Pinterest and blog use. That is not all. You also get images and fonts, yet again, you can replace them whenever you want. Smart objects play the key role when it comes to customization and make it all a lot easier for you. By using what is available on download, you can have the first banners ready in seconds. The only thing you will want to add is text and publishing to Instagram, Facebook and other social platforms begins. Make followers astound with your new posts and let them share them and help you spread the word. Seems like a plan.